It’s not every day a photographer can make you look twice at a photo and seriously marvel at it. But for 18-year-old Laura Williams, nearly 200,000 people viewed Laura’s self-portrait in awe and bewilderment — making it a viral sensation. It’s hard for Laura to pinpoint the inspiration behind her conceptual photography. Like many artists, she’s influenced by her surroundings. Laura admits to having vivid dreams, which is why she keeps a dream journal in which she records memories and details from her imagination. 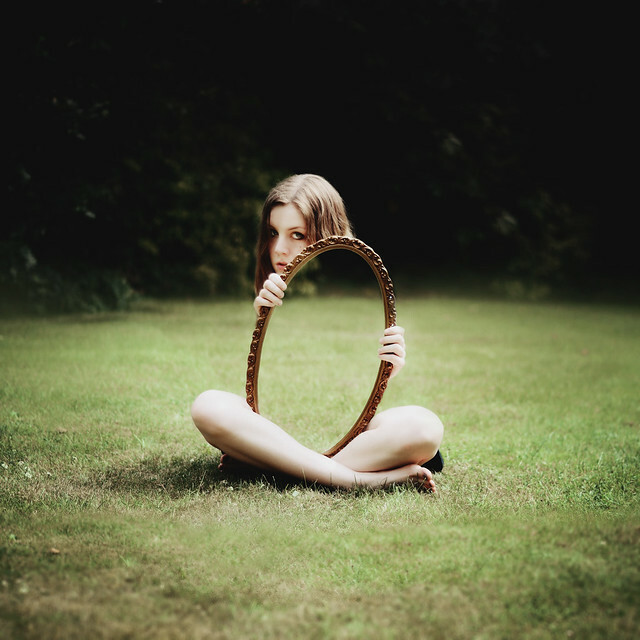 Laura’s Invisible series came about after discovering a mirror in her aunt’s house. Admiring it’s simplicity and the shape, she saw its potential to be a prop in her upcoming work. Laura used the mirror to make it seem as if her torso disappeared. When Laura first uploaded her photos online, she thought nothing of it. Weeks later, when she came home from college in Cambridge, England, she was amazed to see how popular they became. The popularity of her series encouraged Laura to pursue photography as a profession. She now dreams of becoming a freelance photographer, shooting and editing album covers on her own. Visit Laura’s photostream to see more of her photos.